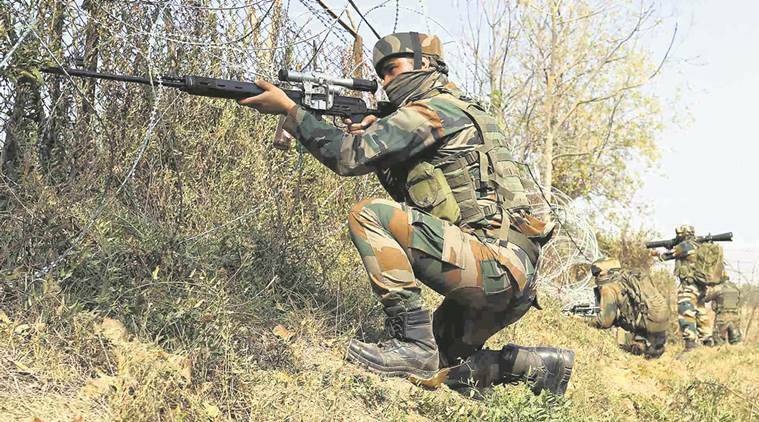 Four militants were killed and an Armyman was injured Wednesday in an encounter in the forests of Hamam in Jammu and Kashmir’s Baramulla. Security forces had launched a search operation in Ladoora forests in Rafiabad on Monday after they received information about presence of militants. On Wednesday morning, an encounter ensued with both sides exchanging fire. Army’s Kilo Force, Special Forces (SF) and 32 Rashtriya Rifles were involved in the operation. “The SF team was specially inserted in the area of operations,” the Army spokesperson in Srinagar said. The injured Armyman is reported to be stable. Meanwhile, police Tuesday arrested an overground worker of Al-Qaeda-linked Ansar Gazwat-ul-Hind (AGH), Irfan Ahmad Ganaie, from Rathsuna in Tral. Police claimed that some explosives were recovered from him. A team also apprehended a militant identified as Abdul Majid Shah from Pattan, Baramulla.